Is the sports profession moving in the right direction by labeling eSports a sport? This is a question that is passionately debated by today’s sports professionals. This was not an issue years ago as there used to be a clear distinction between traditional sports and competitive video gaming. 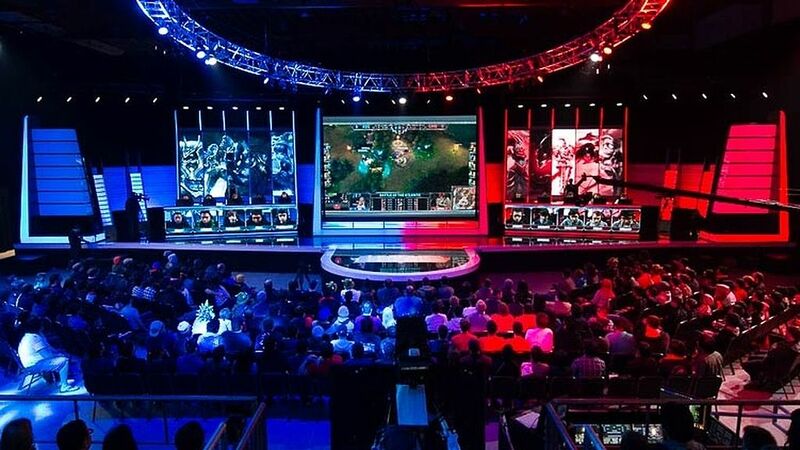 Now, with the popularity of competitive video gaming increasing year in and year out, many people are legitimately arguing that eSports should be considered a sport just like soccer, basketball, and gymnastics. My opinion is that there are two words that clearly distinguish eSports and traditional sports: Physical Activity. It’s pretty simple when you think about it. Sports, whether at the Olympic Games or youth league, must involve physical activity. The World Health Organization defines physical activity as any bodily movement produced by skeletal muscles that requires energy expenditure. Physical activity — such as walking, jumping, cycling, or participating in sports can reduce the risk of cardiovascular diseases, diabetes, and depression. Many would argue that competitive video gaming involves physical activity or significant physical exertion. I disagree. If that’s the case, why not label [typing on a computer], [texting a family member or friend], or [scrolling on social media pages] as sports. These activities involve the same level of physical exertion as playing video games. In my opinion, musicians exert more physical energy than professional video gamers, but music is not considered a sport (it has its own category) and band members are not considered athletes. In the same manner, I believe eSports should have its own category and should not be viewed in the same way as traditional sports. I do understand that eSports involves skill and strategy, and that professional video gamers put in a lot of time, effort, and practice to perfect their craft. Personally, I’m all for competitive video gaming and I believe it will continue to increase in popularity among the youth and young adult population. My issue is simply viewing or comparing eSports and traditional sports. I do not see professional gamers as athletes; I see them as professional gamers. This is the exact reason why I do not agree with discussions about having eSports as an official Olympic sport. Just because it generates a lot of money does not mean it should be considered a sport. We as a society are beginning to associate sports with the amount of money that can be generated; which could cause major issues down the road. Recent studies indicate that children aged 12 are increasingly unable to run, jump, throw, or catch. Skills that were generally mastered by six-years-olds are now difficult for 12 and 13 year olds to perform. Many experts see electronic devices as one of the primary reasons for the deterioration in children’s physical and motor skills. It’s obvious that today’s generation spends an inordinate amount of time on smartphones, tablets, computers, and video gaming consoles. If governing bodies and sports professionals refer to these type of activities as a sport, it will continue to trickle down in the mindset of today’s youth. So, is labeling eSports a sport good for the sports profession? I think not. Agree with you. The Esports Economy has Generated At Least $465 Million in 2017. Esports revenues totalled $194 million last year and will more than double to reach $465 million in 2018, according to Newzoo’s latest report The Global Growth of Esports: Trends, Revenues and Audience Towards 2018. I wholeheartedly agree with this assessment.